The European Engine Lubricant Quality Management System (EELQMS) is a voluntary quality management system for automotive engine lubricants. It has been developed jointly by ACEA, ATC and ATIEL. Although the EELQMS is a voluntary system, it may be required by third parties and, in these circumstances, it may be mandatory. The System is designed to assist lubricant marketers in assuring the quality of their lubricants and the performance claims being made for them in the marketplace. It provides a detailed process and structure for supporting documentation covering lubricant development, production and performance validation. It is available to all companies on a voluntary basis. 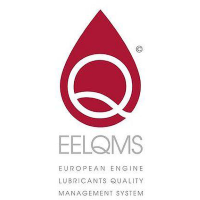 The EELQMS is the only system that can be used to support claims against the ACEA European Oil Sequences specifications, and so enables lubricant marketers to include those performance claims on their product labelling. ATIEL, having the sole and exclusive ownership of the EELQMS Trademark, has authorised SAIL to sub-license the Trademark to companies who (1) have confirmed full compliance with EELQMS through signing the Marketers’ Letter of Conformance, (2) paid the annual registration fee and (3) entered into a Trademark sub-Licence Agreement with SAIL. During the period of the Agreement, the Marketer has the non-exclusive right to use the Trademark on and for its goods covered by the Letter of Conformance. This licence is personal to the sub-licensee and the benefit of it may not be assigned, sub-licensed or otherwise transferred. Conditions of use of the Trademark are detailed in the sub-Licence Agreement.